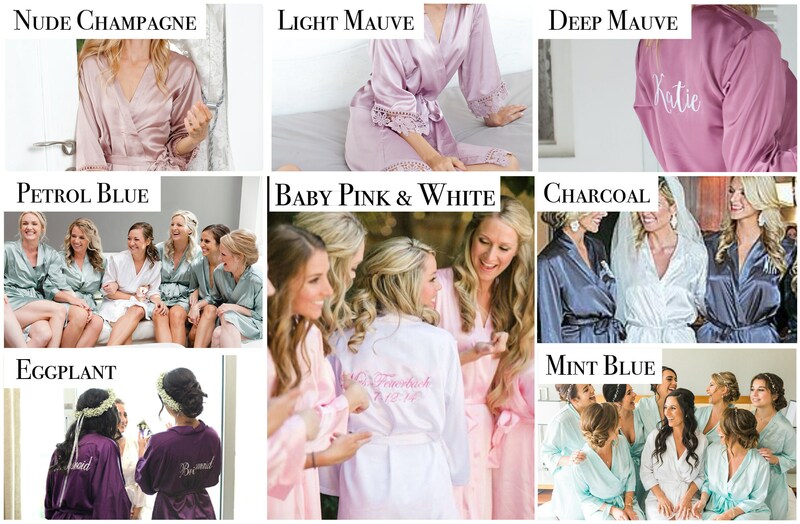 *Handmade satin robes designed to add style, elegance and comfort to brides and bridesmaids alike getting prepared for their wedding. 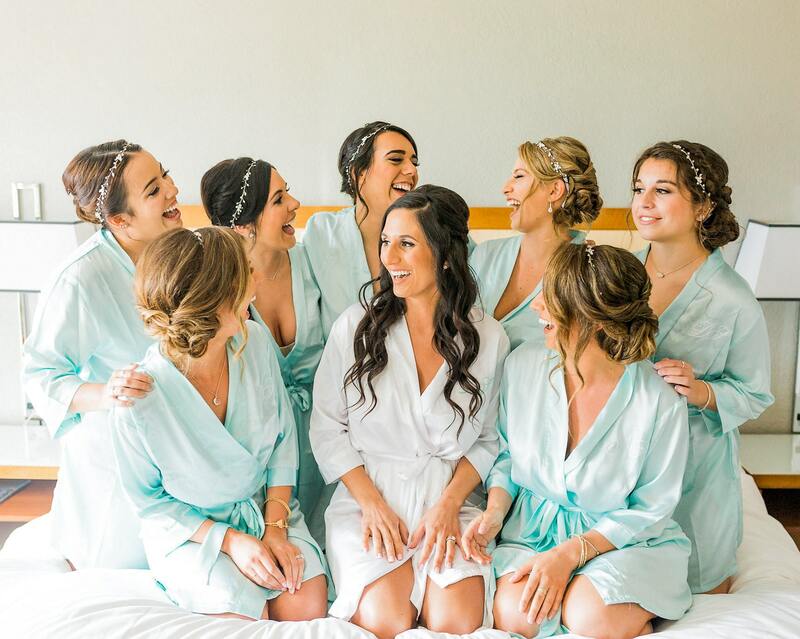 *The light and silky-smooth satin feels and looks exquisite. 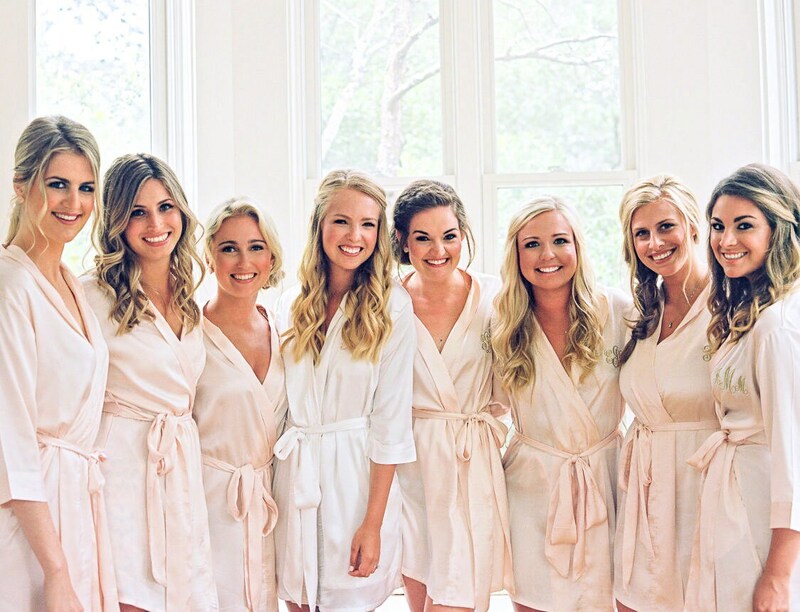 *Unless it is otherwise requested the robes fall to below mid-thigh/above the knee length. Additional/Shorter length may be requested for an additional price. 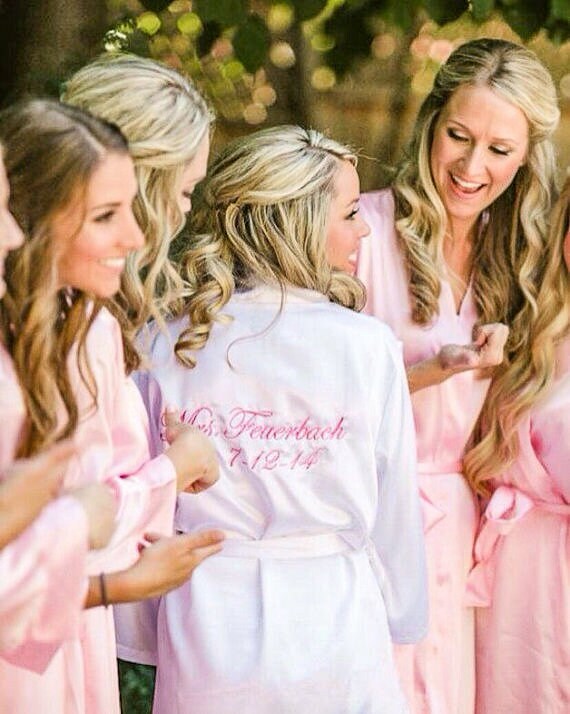 To further personalize the robes, we are happy to adorn the robes with lace in any of our three styles. 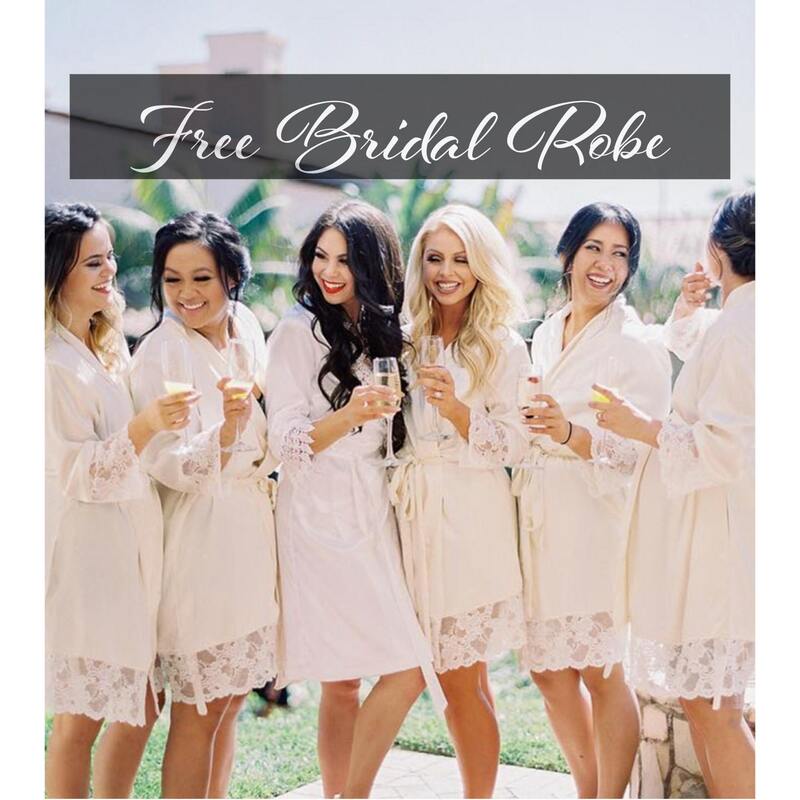 For an additional cost, we are happy to match the color of the lace to the color of the robe. 1. Please select the style(plain/lace/embroidery), size(s) and quantity required per style. 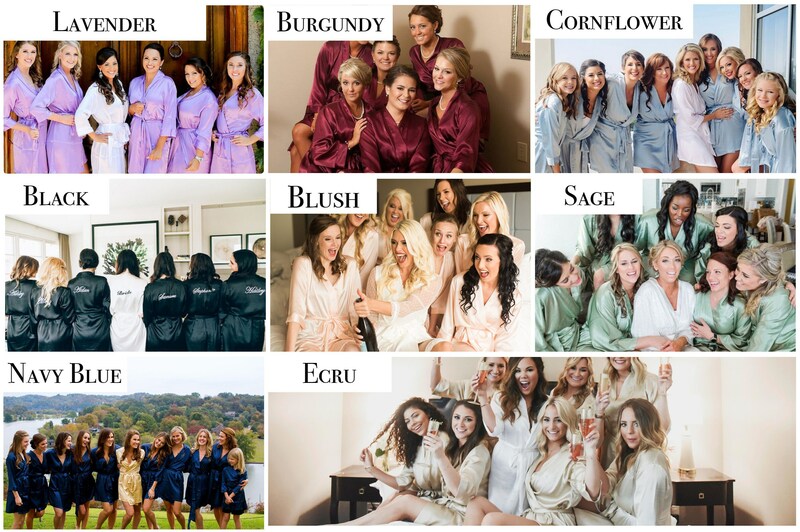 You may select “Mix and Match” if ordering different sizes and then just specify the size for each robe in the notes. 3. Also include your need by date in the notes to seller section at checkout along with any additional comments.